Would the heading ====See also==== be more acceptable to you, using ((l-nb|xxxxx)) or ((l-nn|xxxxx)) as the case may be? (I had to use the wrong brackets). The more of the ridiculously duplicate entries that you have created I have seen, the more supportive I am of keeping Norwegian as one language. There was already separate Bokmål and Nynorsk entries for afrikansk, so to be consistent there should be separate entries for sørafrikansk and sørafrikanske. In addition sørafrikansk was on the Tbot list since 2009, so it was high time it was removed. There was already separate entries under South African. As Norwegian Nynorsk is always going to follow Norwegian Bokmål, with no other language in between, I have always thought it logical to use "as above" in Nynorsk entries. Nynorsk and Bokmål etymologies are rarely 100% the same. The short form etymologies tend to be the same; but in the longer forms; I don't think that has to be the case (most Scandinavian etymologies tend to be the same in the short form, by the way; for anyone reading this). I think they should be duplicated even if they are 100% the same; that way, we don't have to make any assumptions (and it avoids the risk that a change made the to first etymology may not apply to the one below). As for references, that's easier said than done. I don't know of any relevant references in English, and they are hard to come by even in Norwegian; especially online. Ivar Aasen's Norsk Grammatik ('Norwegian Grammar') from 1864 is available in PDF format here. It played a crucial part in his creation of Landsmål. It's written in contemporary Danish (there might be smaller Norwegian influences present), which means that it allows for an easy comparison between his Landsmål and the origin of Bokmål. It's not true that e.g. Bokmål skog comes from Danish skov, as my writing above could suggest; Norwegian skog comes from ON skógr. So some of the steps in the etymologies above are more "true" etymologies than others. At the same time, it would be incorrect to forget about Bokmål's past; Bokmål never had a clean break with Danish: Landsmål was created more or less from scratch, Bokmål was gradually and carefully created from Danish. In Bokmål, skog had to compete with/replace skov, in Landsmål/Nynorsk it was the sole alternative decades earlier. In other words: skog had a different path into Bokmål than it had into Nynorsk. As far as I can see, that concerns the etymology. ned att der frå eg fall. Ein skulde hava Kaffi, ein annan Øl; og ein tok Braud til Ølet, daa han ikkje hadde fenget Middagsmat. Av berre det Braud (1891), psalm by Elias Blix. Many more examples can be found be in digitalised articles from the publication Fedraheimen (1877-1891) here. Here they (Ivar Aasen-tunet) have written about their digitalisation. As for the sources of the rest of the etymologies; I don't think there is a single source that lists them all, so a lot of different sources would have to be compiled. Here is an example regarding to > tvo from the Norwegian Language Council. There are four sample texts (Tekstprøver; supposed to be identical apart from spelling) on the bottom of the page, and in the last one tvo has been replaced with to (in the first text, you can even find the form tvau, which is neuter of either tvo or tvei). 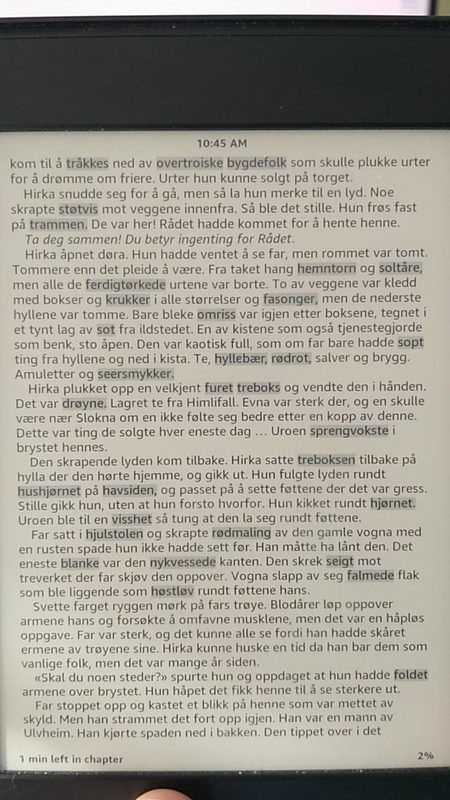 Ulempen var at disse bøkene ikke hadde noen ensartet skrivemåte, så det meldte seg snart behov for fastere regler. De kom i 1901, og innførte mange talespråkspregede former, f.eks. kasta (for kastade), fare (for faret, partisipp), anna (for annat), brød (for braud), dør (for dyre). "Please delete - replaced by fyrstedømme (correct spelling) Category:Candidates for speedy delection"
Let's get one thing straight - I study Danish, I don't speak it. There are two ways bukser can be used, as listed by Den Dansk Ordbog - bukser / bukserne (the usual usage), and what is described as "fagligt" (used in the trade) - buks / buksen / bukser / bukserne. I'm sorry, I was mistaken. I too study Danish, which is one thing we have in common. As a matter of fact, it is my main language of study. That template wasn't working for two reasons, perhaps because it's an irregular noun. It wasn't registering as a lemma (Norwegian Nynorsk lemmas), and besides that clicking on an inflection didn't take you straight to the entry for the inflection. For those two reasons I rewrote it. The regular templates have been adapted for lemma purposes (nn-noun-n1 etc. ), but not this one. It can be tricky to make templates work with all possible exceptions; but for the most part, they are very simple to code. Rewriting templates is beyond me, I'm afraid. When I mentioned the lack of an ABC index for Bokmål and Nynorsk files, I was coerced into adapting the Danish template, which is exactly the same, to nb and nn. It's not something I want to do every day. Nynorsk verbs - I'm confused by the two different forms; ending in -a and -e. I notice you prefer to enter the -a form as the main entry, with the -e form as a supplementary entry. Anyway, I am quite content to leave nn verbs to you to enter. I have just done entries for torden and tordenvær, but I am confused about whether plural forms are actually used. There are no equivalent Nynorsk entries to look at for guidance. All non-compound Nynorsk verbs with more than one syllable can end in both -a and -e in the infinitive. Thanks for dealing with skyi. I'm trying to clear some entries out of "Norwegian noun forms" etc., moving them to Bokmål and/or Nynorsk. You often place some Old Norse word on your entries under etymology, where do you get the information from? Wiktionary:Requests for verification/Header: "Overview: Requests for verification is a page for requests for attestation of a term or a sense, leading to deletion of the term or a sense unless an editor proves that the disputed term or sense meets the attestation criterion as specified in Criteria for inclusion"
Would you be so kind as to take a look at Category:Pages with module errors? Most of those are due to CodeCat's addition of parameter checking to Module:nn-verb-irreg, which causes module errors in all the entries with obsolete parameters. I'm sure it's a good idea to clean these up anyway, but I wish she hadn't broken so many entries to do it. Thanks! "There are some Nynorsk entries that have invalid parameters on this template, and they are now showing up as module errors. Could you fix these please? —CodeCat 16:43, 2 December 2015 (UTC) Throwing errors for unused parameters seems rather draconian. Is this a new policy? --Njardarlogar (talk) 17:33, 4 December 2015 (UTC)"
In the RFD on "tennis player", you wrote, "I have reread what I have written, and I can't find one word which constitutes a personal attack. Yes, I have given criticism, but we all have to take that whether we like it or not, and I seem to get plenty." I would dispute your impression that you didn't make any personal attacks, merely criticism, because it's precisely the criticism you're giving that others consider personal attacks. But I can see that you get your fair share of unkind words, and that you find it as distressing as other people do when it happens to them. So I'm offering my point of view here as a kind of olive branch, rather than posting it in reply to your last comment, and I hope you'll take it as well-intentioned and not another assault on your opinions. The problem is that the type of criticism you give is infused with insinuations that other people's opinions are bad, and that they are wrong to voice them. For instance: "The 'good of the project' is not being served by RFDs like this" says that even discussing whether this or similar terms should be deleted is harmful to Wiktionary, and necessarily implies that everybody in favour of deletion is working to harm Wiktionary, which is a very provocative thing to say. Mr. Migrant's comment, "Is it really all about you, Donnanz?" was rather rude and I can understand why it would offend you, but -sche called him out on it: "Let's not personalize the debate like that." It was not necessary to follow up with "RM needs to be reminded...", which was certain to produce a backlash, which asserted that you were voting based solely on your personal preferences, and so on. He says an unkind thing, someone points out that such comments aren't helpful, and you could have been done with it. Our exchange started innocently enough: I gave an opinion, noting that other dictionaries didn't tend to include this sort of construction for obvious reasons, and two types of examples, incorporating as many tennis terms as possible in my reasoning (a joke which clearly fell flat). You replied by saying that a "dictionary" which does include such words "leaves Wiktionary in the shade", a statement implying that Wiktionary should emulate this particular example. My reply attempted to distinguish a wordbook from a dictionary, and asserted that by following your apparent reasoning, we would need to add entries for scores of similar terms, without achieving much for the effort. Did I go overboard in my examples? Perhaps, but my whole point was that it would be absurd to include all of the words in said lexicon as Wiktionary entries simply because they translated words or phrases from other languages. A very long list of not very useful potential entries seemed like a logical way to make that point. Your response was to imply that my post was a "waste of space" and "a silly question"; and as Mr. Migrant subsequently pointed out, the answer "NO" (which suggests shouting, also a bit provocative) doesn't make much sense given your suggestion that we look to the wordbook as justification for "tennis player". If you had simply said, "no, that's not what I meant, I just think that 'tennis player' should stay because it's a useful translation target for a fairly common word," then I wouldn't have had any reason to complain, even if I disagreed. Since my point was called "silly" and a "waste of space" and you clearly thought I would understand your point better if you shouted at me than if you simply explained it, I replied, perhaps a bit sarcastically; but I think I at least refrained from attacking anything other than that characterization of my post. To which you replied, "I have noticed that you tend to waste a lot of space wherever you leave your four tildes", which cannot be described as anything but a personal attack: "your other arguments are wasteful and pointless, therefore this one should be ignored too." I shouldn't have to point out that "wherever you leave your four tildes" makes it sound rather like you're comparing me to a spaniel leaving "gifts" in your garden, instead of an editor signing a comment. How do you expect people to respond to comments in which they're described like something dirty and offensive? You then went on to characterize my comments as "venting my spleen" rather than arguing a legitimate point. But as the sarcasm in my words was a direct response to your personal attack, this could hardly be anything but the pot calling the kettle black. All of which should serve to show that, with the exception of an uncharitable comment by RM, for which he was immediately poked by a third party, you could have avoided any personal criticism in this discussion simply by refraining from it yourself. None of your other comments were provocative, and none of the other replies personal attacks. If you can just make your point without suggesting that anybody else's points are silly, bad, harmful to Wiktionary or wasteful of your valuable time, then a great deal less invective will be hurled at you in return. I realize that it's natural to to think of criticizing the language of a comment or the person making it when you strongly disagree. But if you resist that temptation whenever possible, then you will find yourself facing much less of the type of personal criticism. First of all: yes, I'm prepared to bury the hatchet. Right, where do I start? OK, RM. I have quite often clashed with him, now and in his previous life as Mglovesfun. He can be rather condescending and tends to treat me as a lesser mortal, which is something that has to be dealt with firmly (sometimes I just ignore him rather than answer, as it always adds fuel to the fire) , he is a hardened deletionist (along with others) whereas I am anti-deletionist. I don't take part in debates that don't really concern me, but he is the opposite. That's enough about him. My main concern was that what was said with umpteen examples could quite easily have been said just as forcefully with just a few (adding ad infinitum or something), and I felt it ended up being bumph. That was the main point of my criticism, and I hope you can take that on board. "The good of the project is not being served by this RFV". Fair enough, it's good to have a debate about it, but if the term is deleted, which is possible, a term has been lost. 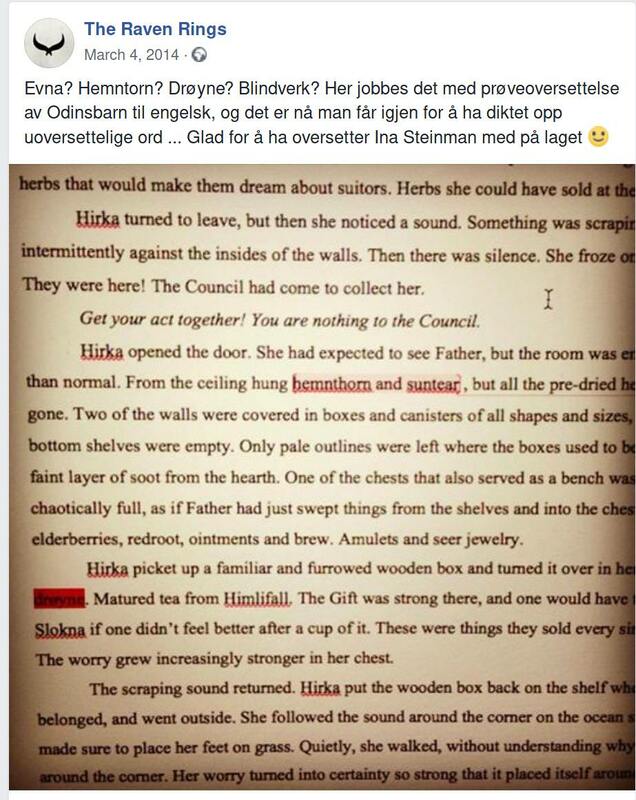 My main concern is that it's a translation target, and I notice that otherwise it lacks substance - it could be built up with one or two quotations but no one has bothered, and that is something I don't specialise in - I am concentrating on Norwegian instead. Hi Donnanz, I think that installasjon means something installed whereas installering means the act of installing. It's a bit confusing in Norwegian because sometimes the noun and the grundium of the verb are the same but sometimes they are not. @Donnanz What do you think of the changes I just made to the definitions? Your edit makes the page more difficult to read and less informative. The page should remain as it was. Rikskansler (talk) 21:08, 9 June 2016 (UTC). Those examples above didn't actually use templates for irregular nouns - I believe those templates aren't effected as they explicitly ask for the inflected forms rather than generating them from a pattern. Not just mine--I confirmed that before I got AWB access. An entry should not be in both a parent and child category. Why would that be preferable? "Counties in Australia have no administrative or political function, unlike those in England, the United States or Canada. Australia instead uses local government areas, including shires, districts, councils and municipalities according to the state, as the second level subdivision." I'd like to nominate you for adminship. You've been editing for 3 years, have been working very hard, and are a trustworthy editor. Do you accept this nomination? PseudoSkull (talk) 19:03, 25 May 2017 (UTC). @Koavf: I favour "United States county/County index/Index" as a title, which is as short as possible without being ambiguous, but rather unconventional, there doesn't seem to be any Category:en:Index of ... anywhere. It's a question of which module to use, probably Module:category tree/topic cat/data/Earth, unless there's a more appropriate one. Would there be any objection to that? @Gamren: The Norwegian word for carrot is gulrot, AFAIK nothing to do with "mure", which can also be a verb related to mur. I did find articles in Wikipedia, Mureslekta and Mure. According to Einar Haugen's Norwegian-English Dictionary "mure" (Potentilla) is tormentil or "blood root" (apparently not the species listed at bloodroot). @Koavf: I have dealt with the RFD, but I will leave the removal of the module to you. I just noticed you said speedy deletion, I guess that can be changed. I’m not sure where the drawl comes from other than maybe Nebraska. I was raised in Texas for most of my life but I never considered myself as having a Southern drawl (though one individual said so). And yeah, I need to turn up the volume when I save files. @Equinox: I don't have a mobile anyway, so I am spared from that modern addiction. John Betjeman: I'm still stuck on that one, he did one film on the Kings Lynn to Hunstanton line, which I watched. That line closed years ago, but Kings Lynn is still open. How things have changed, you can't lean out of windows any more, and can't smoke on trains let alone platforms. Grr. IBM railway station is in Scotland, didn't appear in timetables to begin with as it was only supposed to serve IBM, it's still there but not as busy as it used to be. It isn't shown on a 1984 OS map I have (Landranger 63). Lympstone Commando is a bit like Longcross railway station, built in WWII to serve an MoD facility. It's still open, but hardly any trains stop there now, and it's nowhere near any housing. I went there on a bike ride once, when I was much younger (and more athletic). You copy-pasted your nom to the right place, so that it's now duplicated. It looks like your edits to albino made it disappear from the Nynorsk nouns page, but it is still marked as a noun on albino. Am I looking in the wrong place or misunderstanding something? It looks like even the translator was having a bad day understanding some of the words in my book since they're made up, so sorry in advance if I accidentally post some of those in the requests page. Am not logged in either, and on Firefox(Windows UA) there's a "Not Now" button on the bottom of the popup for me. That said here's a screencap. Finally got rid of the last big remaining problem in my script so focusing on smaller things again. høyt, feid - I'd expect those to end a line entry at "neuter singular of WORD", instead, they continue and have more info after that. Is this fine formatting or is it based on an older template? botn - I'd expect the "Bottom, alternative of X" line to not be there and instead another noun definition be there that just says "Alternative of X"
Return to the user page of "Donnanz".